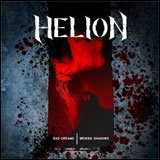 Hall of the Mountain King: You Gotta Hear This: Helion, "Bad Dreams | Broken Shadows"
You Gotta Hear This: Helion, "Bad Dreams | Broken Shadows"
When last I heard Helion, on their 2006 EP "Mercury Rising," they were a damned solid, but pretty straightforward power/prog outfit. It was one of the better records that I heard that year in the style. Two years and a lineup change later, I could almost be listening to a different band. The good news is, it’s a better band. "Bad Dreams Broken Shadows" is a bit heavier and a bit more modern than their previous effort, but still keeps the melodic elements that made Mercury Rising so good. What immediately slaps you in the face about this version of the band is the vocals. Newcomer Simo Autio has not only brought some welcome melodic death vocal stylings to the mix, he’s given the band a chance to create a completely different atmosphere from their last outing. The riffing of Autio and primary songwriter Jaako Kunnas is a little faster and heavier and Lauri Heikkinen’s keyboards have more in common with Children of Bodom or Soilwork than Dream Theater here. In short, Bad Dreams Broken Shadows sounds a bit like what might happen if members of Soilwork, CoB and In Flames got together for a proggish side project - and that’s a very good thing. The new direction becomes immediately apparent on opener “Dreamcatcher” with its Bodom-esque synth lines and some nice melo-death screams on the chorus. “Liquid Veil” blends the new and old, with the growls on the verse and a catchy, melodic chorus more reminiscent of those on Mercury Rising. A little Opeth influence begins to creep in around the edges on the third track, “Blood of Phoenix.” Perhaps the most progressive track on the record, it showcases the versatility of the band and makes a lasting impression. “Tell No Tales” is another strong number, opening with some NWOBHM inspired leads before settling into a galloping melodic death snarl for the verse and returning to a Bruce Dickinson-inspired bridge. The record closes with the ballad “Broken Mirror.” Ballads are not my favorite thing in the world, but this one is nicely done with some cool guitar leads and the best clean vocal lines on the record, proving that, despite the heavier tone of Bad Dreams Broken Shadows, they can still do the straightforward prog ballad if they want. I continue to be impressed with Helion, particularly listening to tracks like “Blood of Phoenix” and “Tell No Tales,” and wonder how they’ve managed to fly under the label radar. Maybe this record will get them some attention. I said it about Mercury Rising, and I’ll say it again about this one, the self-released "Bad Dreams Broken Shadows" is a better record than a whole lot of the stuff that I get from labels. While I don’t think Helion has quite reached its full potential just yet, you should remember the name. You’ll hear it again. You Gotta Hear This is an occasional feature about a band you probably haven't heard, but should. If you have a band you'd like featured here, drop me an e-mail. If I like it, I'll write about it. 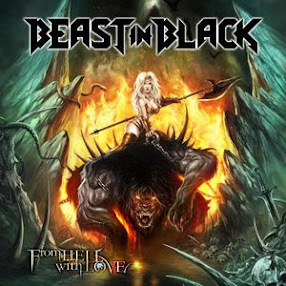 Review: Todesbonden, "Sleep Now Quiet Forest"
Review: Testament, "The Formation of Damnation"
Review: Volbeat, "Rock the Rebel/Metal the Devil"
Review: Motley Crue, "Saints of Los Angeles"